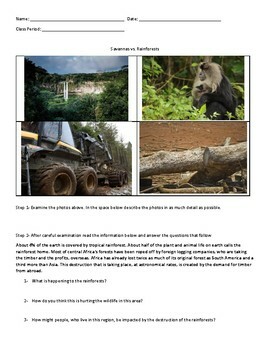 Looking for a lesson on the destruction of the savannas and rainforests of Africa. 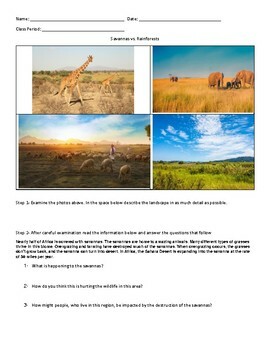 Here is an activity that requires your students to pair up and examine what is taking place in Africa. 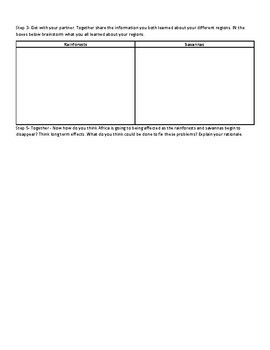 3 levels of questions are included to meet the needs of all your learners. 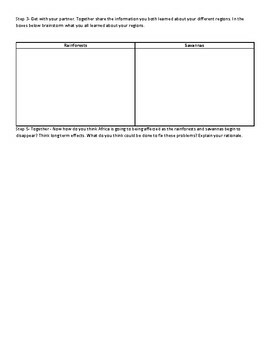 The packet will take you from a basic level of questioning to a higher depth of knowledge questioning.